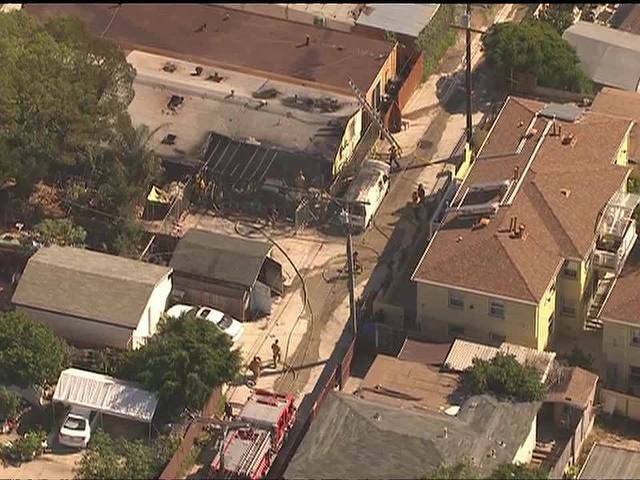 SAN DIEGO -- A home and a van went up in flames Monday afternoon in City Heights. The fire happened in the 3400 block of Fairmount Avenue. 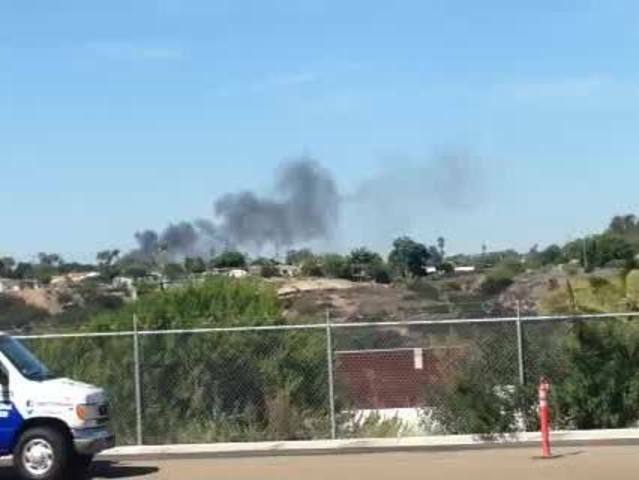 The San Diego Fire Department said they received multiple calls about the house fire around 2:20 p.m.
Fire crews arrived and found heavy smoke and fire showing from the rear and top of the home. They were able to knock down the fire in about 25 minutes. The next door neighbor's garage was also damaged by the fire. "I just found out that our garage is gone, it's a total loss, I'm just really feeling for my neighbor right now though, because I've known them for quite awhile and it's unfortunate, it looks like that their home might be completely gone," said Luis Piña. "I'm just glad that my family is fine and that the dogs are okay, we couldn't find the dogs and thank God for the firemen and the police officers that really came through for that," said Piña. There were no reports of injuries, according to the San Diego Fire-Rescue Department. Arson investigators are on scene to determine the cause of the fire.